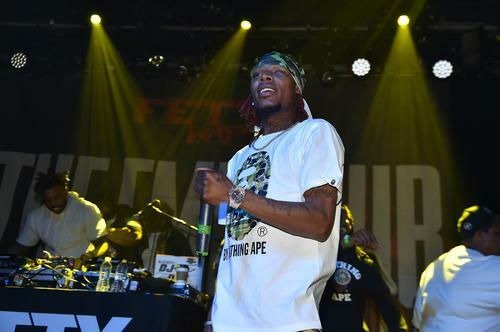 At this point, most people are aware of the fact that Fetty Wap has several children with numerous baby mothers. Unfortunately, this is public knowledge due to the fact that a few of his baby mother’s have put him on blast on social media. Most recently, the mother of one of his daughter Lauren has took to Instagram to let the world knows how she feels about her baby daddy. Turquoise Miami is Fetty Wap’s latest baby mama to put their familial issues, or lack thereof, on the internet. Miami recently hit her Instagram story and listed the several things that Fetty Wap doesn’t do for their daughter Lauren. “@fettywap1738 Doesn’t do anything for Lauren,” she wrote. She continued to say that Fetty Wap isn’t there for his daughter emotionally, physically or financially. Unfortunately, it looks like Turquoise has lost any hope in trying to get Fetty Wap more involved in his daughter’s life. Hopefully, they end up resolving their issues off of social media.